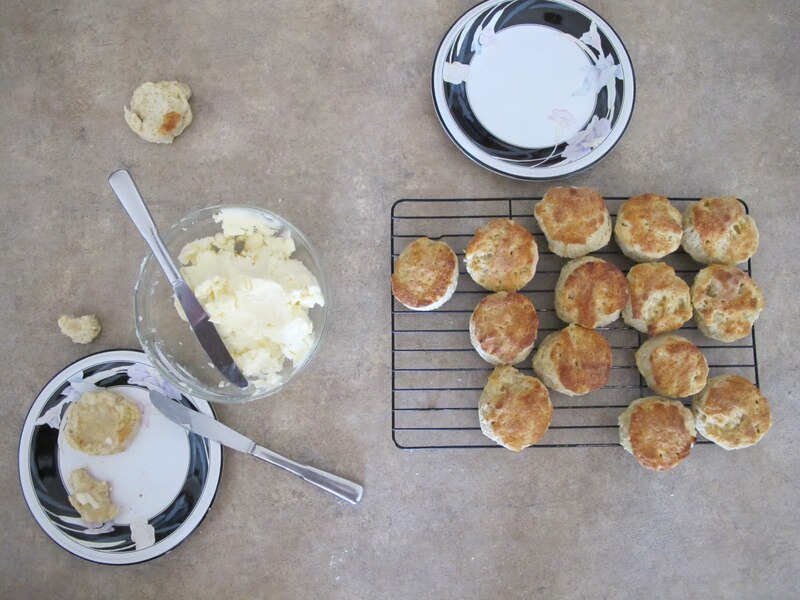 Recipe: Easy Scones with Home-Churned Butter | eat. write. smile. Is there anything better than the smell of fresh baked goodies on a Sunday morning? I baked scones for Sunday breakfast the past two weekends, one in Colorado with my girl Christie and another brunch in Palo Alto with my parents. These scones are similar to biscuits; however, you can add ham and cheese or currants or any dried fruit if you like. The home-churned butter is very simple; you can also add vanilla and a little sugar during the whipping process for a sweet spread on a simple scone. This recipe comes from my CIA classmate Roxanne Rosensteel, and I thank her for sharing these with me. 1. Sift flour, salt, baking soda and cream of tartar into a large bowl. 2. Rub in the fats until the mixture goes damp like sand. Add the milk all at once; mix briefly and turn out onto lightly floured surface. 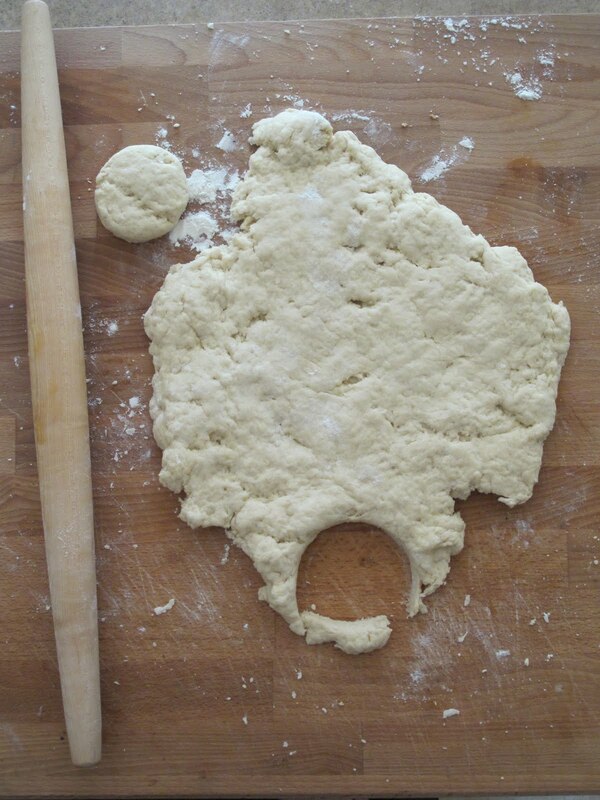 Knead lightly to form a dough. 3. Roll out to 1 ½ in. thickness. Cut out rounds and place on baking sheet. 4. Brush with beaten egg (if you don’t have a pastry brush, use the rounded back of a spoon to smooth the egg over the scone). Sprinkle with sugar. 5. Bake for 10 minutes, until tops are golden brown. 1. Take a quart of heavy whipping cream and pour in an upright mixer with the whisk attachment. If you don’t have a counter-top mixer, you can use an electric egg beater with two whisks, but this will take a little longer; it’s still easily do-able though. 2. Whip the cream well past whipping cream texture, about 12-15 minutes. The butter fat will separate from the water, which will start to splash around the bottom of the mixing bowl while the yellowish butter clumps on the whisk. 3. Pour water from bowl. 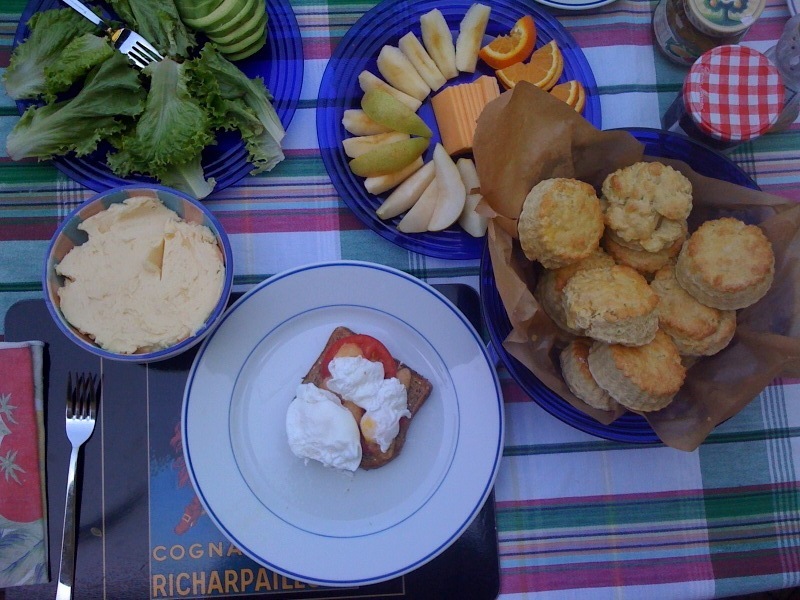 Spread on hot scones. Revel in delight. 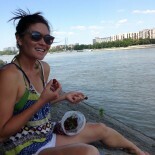 This entry was posted on April 19, 2010 by Ruthie in Uncategorized.